We can’t believe it either, it’s almost Easter! The time of the year we get to indulge in chocolate and spend time with our loved ones (including our pets!) 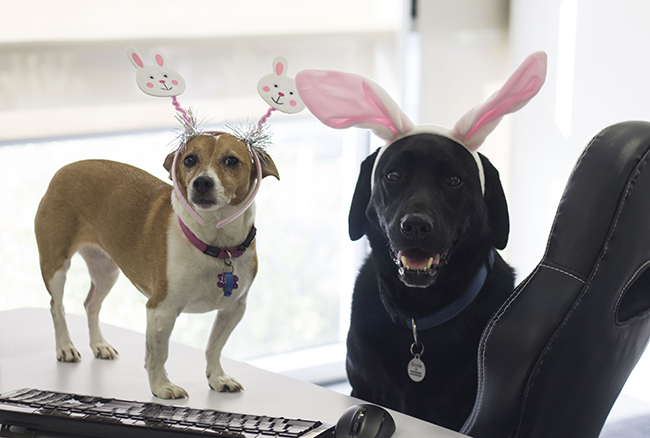 But how can you get your pet into the Easter spirit? Here are three great ways you can get them involved in your celebrations! There’s no doubt that dress ups help us get into the festive spirit. Whether you like to go all out with your festive outfits, or you prefer subtle chic styling – dolling your pets up and having a little photoshoot is a great way to get them involved this Easter. If you’re having some trouble photographing your pets, read our top tips for getting the perfect picture every time. The Easter long weekend is a great opportunity to take a break, kick back and relax! Why not make the most of a few days off by taking your pet on some extra long walks, head to a new dog park, check out that local pet-friendly cafe you’ve been meaning to try or snuggle into bed and watch a few of your favourite films with your furry friend by your side. There’s no reason why your pet can’t be a part of all of the fun and games! Here’s a few ways you can get them involved in your Easter egg hunts! Ice treats! If the weather’s still warm enough, head down to your local supermarket and pick up an Easter-themed cake mould and put together an icy-treat for your pet! Freeze some of their favourite treats in the water to keep them occupied for hours! Grab your dog’s Kong and place some of their favourite treats inside, hide around the house or backyard, and watch as they get super excited when they find their Easter treats! Many of us eat fish on Good Friday, so why not get your pets involved by sharing some yummy fish with them too! Cats in particular will love this special treat – from our experience a tin of tuna in spring water is a sure fire hit! 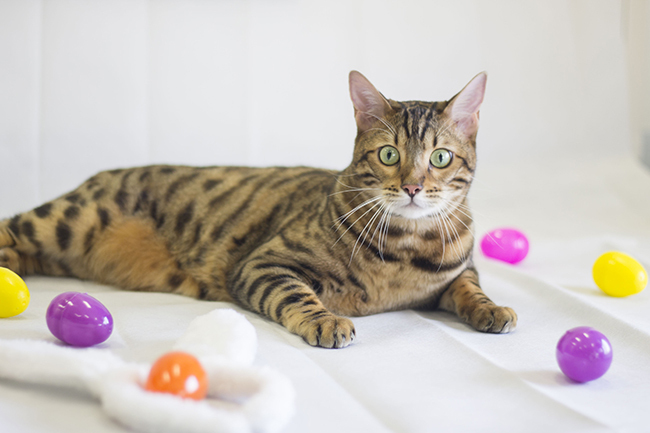 While we wish Easter was all fun and games, it’s important to keep your pets safe and away from any of the potential hazards that come with the holiday. Remember to keep any chocolates and sweets well out of your pets reach. Watch them around any decorations, and make sure to follow their cues – if they look uncomfortable in their new Easter costume, then take it off! Follow our guide and we promise, you’ll have an Easter you’ll never forget!